They say that the trend is your friend but anyone that has ever speculated in a market knows all too well that this is only true for a finite period of time. Every market trend eventually comes to an end; when it does it has little mercy for those that were either late to the party or simply held positions too long. The equity markets have been in a relentless up-trend that has surpassed the expectations of even the biggest bulls. While it is true that current valuations are a far cry from the 2007 highs, they are also the result of an impressive recovery in market sentiment from the depths of the March panic. The media has been focusing on the seasonal weakness that the markets have experienced in the months of September and October. September is the weakest month of the year based on historical standards; however, it is important to realize that the average loss during the month is approximately a percent. That said, the cumulative percentage loss in September from 1950 to 2007 is a little over 30%, which puts it at the bottom of the list. Accordingly, it seems as though traders should keep a cautiously bearish bias going into September. Keep in mind that it is important to give the market room to breathe. Despite historical weakness in September, there are no guarantees and entry price is always crucial. In fact, September normally starts out strong. The markets have been higher in 12 of the last 14 days after Labor Day and have opened the month strong overall in 11 of the last 13 years. Nonetheless, end-of-quarter mutual fund restructuring has had a negative impact on market pricing in most years. Fundamental uncertainty has us leaning overall lower in the stock indices but the markets are always right. Last week's remarkable recovery paves the way for a possible move to retest the highs, or even make moderately new highs. 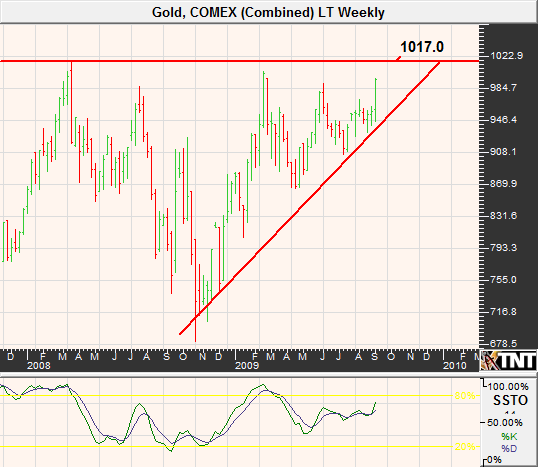 We cannot rule out a move to 1050 or even a retest of the October rebound high near 1070. Should these levels be seen we would be highly bearish. 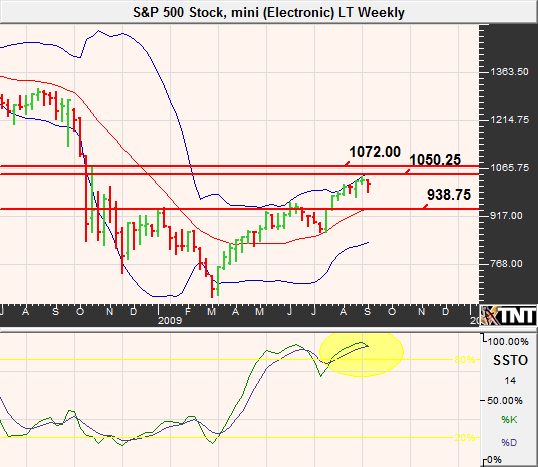 Last month we grossly underestimated the ability of the S&P to rally above 1000. We had mentioned a possible move to 1010 but doubted that gains could be seen beyond this area. 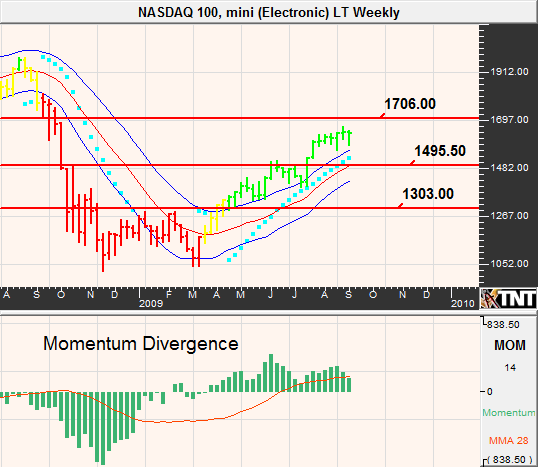 However, we weren't far off on our predicted resistance in the NASDAQ. We believed that 1660 would act as a ceiling and that has been the case thus far. However, the subsequent pullback failed to meet our expectations and we wonder that if the S&P is able to forge gains to the mentioned levels if the NASDAQ will see prices near 1700 at which time we will favor the downside. 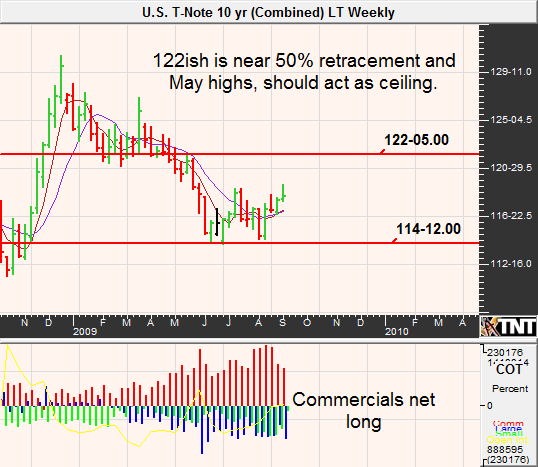 Treasuries have been grinding higher but the momentum behind the rally has fallen a bit short of our original expectations. While the price targets have been on point, we expected things to be much quicker paced. The U.S. government has continued to auction bonds and notes at a record pace and seemingly without consideration of the long-term consequences. The massive supply of government backed fixed income securities has been a contributing factor to the market's inability to forge gains in a speedy manner but government buying and an underlying flight to quality bid has kept the rally intact. In the face of large government auctions, the demand for such securities is relatively stable. Surprisingly, regardless of U.S. greenback weakness, foreign investors continue to show up and loan us money. We can't help but feel that eventually there will be a turn in sentiment but it doesn't appear that it will be immediate. The domestic demand for U.S. bonds and notes has been under the radar but it is clear that investors are still uncertain about the feasibility of the current recovery. 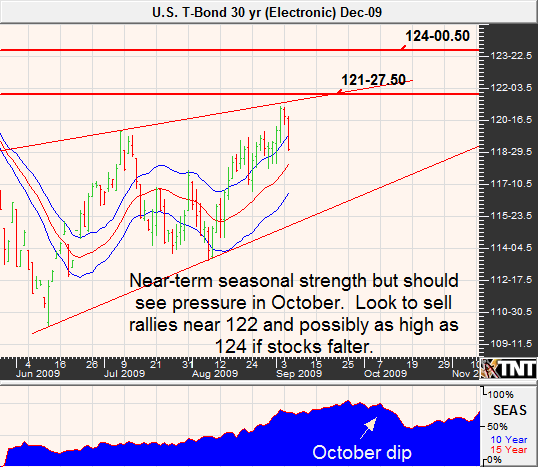 Perhaps the double dip scenario predicted by many analysts will become a reality, if so Treasuries will be a beneficiary. Last month we predicted the rally in the long bond to reach resistance near 121 and eventually make its way higher to the 125 area at some point in August. It seems as though we may have underestimated the time frame that it would take for the 30-year bond to reach our objective but that doesn't mean that we haven't given up hope. However, we have adjusted our primary target to the 122 area and the secondary to 124. The December notes are struggling to surpass 119 but we feel as though 122 will be the cards in the coming weeks. 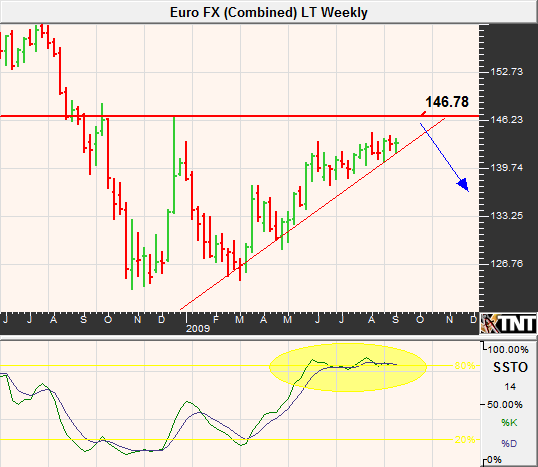 We will be looking for opportune time to be bearish in bonds and notes. As is typically the case, summer grain trade hasn't disappointed the bears. Aside from potential "weather spikes" corn and the soybean complex normally grind relentlessly lower through the months of July, August and September. Accordingly, what is known as the harvest lows in corn and beans tends to occur in October. That said, the grain complex seems to be approaching September with slightly technically oversold circumstances and could be vulnerable to short-lived corrective rallies. The U.S. dollar index has failed to make progress in either direction and has therefore diminished as a factor contributing to price fluctuations in grain prices. Nonetheless, if volatility in the greenback returns this could change quickly. 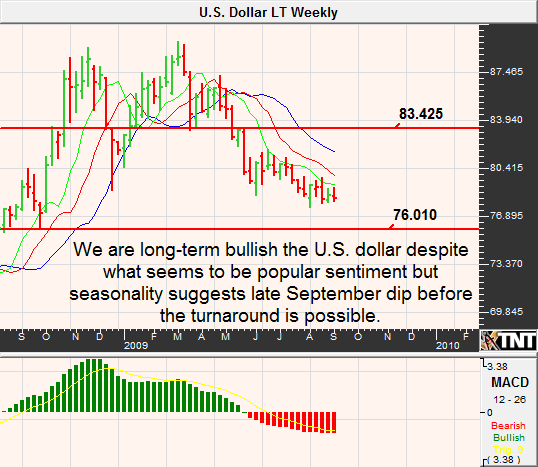 Although we are long-term bullish in the dollar we feel as though the immediate price action may favor the bears. If this assumption becomes a reality, it might be the necessary trigger to prompt a corrective price move forcing beans and corn moderately higher. Another wild-card to grain weakness is possible strength in the equity markets. Should the S&P manage a retest of the highs, commodity traders might infer higher demand for agricultural products and thus soybeans and corn could go along for the ride. Once again, the USDA increased its estimate of the 2009/2010 U.S. ending stocks on Agust 12, 2009; this time the figure has been updated from 1.550 billion bushels to 1.621. Each revision higher works to keep selling pressure on corn and increases the odds of sub-$3 corn at some point before the October lows. The current ending stocks to use ratio is at a comfortable 13% and from a fundamental standpoint there doesn't seem to be any reason to be bullish. Similarly, the world ratio stands at 18% but exports are expected to be up 14% for 2009/2010 and could slightly pinch the supply and demand picture. We have often noted our belief that much of the corn rally in previous years was due to unfounded speculation behind the use of corn for alternative fuels such as ethanol. Although the Federal regulations in regards to ethanol has managed to hold corn prices at questionably artificially high levels, it is become blatantly obvious that there are better alternatives to producing ethanol relative to corn. This realization is finally being accounted for in market pricing. Highly bearish fundamentals don't ensure that prices will continue lower without interruption. 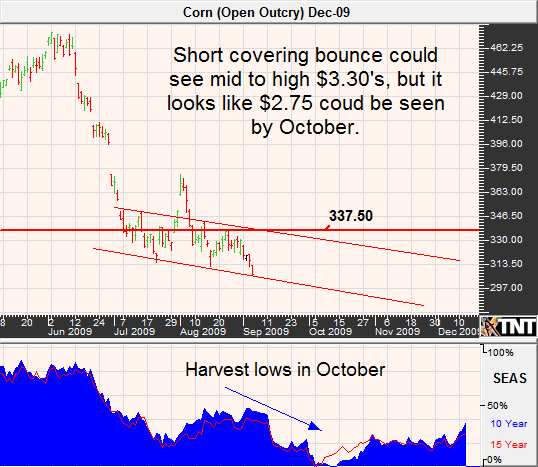 In fact, we can't help but feel as though a short covering bounce is imminent. Bears should look for higher prices to put on a position (preferably in the mid $3.30's); bulls looking to play the bounce should be willing to hedge or construct positions that are capable of riding out weakness to the next support area in the mid-$270's. Unlike corn, which has experienced consistent increases in estimated ending stocks by the USDA, the government agency can't seem to get a handle on bean fundamentals. The USDA reduced its estimate of the domestic 2009/2010 ending stocks to 210 million bushels from 250. Based on the new estimates, the ending stocks to use ratio is predicted to be 7% and this could keep some underlying support beneath prices. If you recall, soybeans enjoyed a healthy rally earlier this year as some beans were planted a bit late due to wet weather. At this time, the USDA expects that 69% of the domestic soybean crop is at a good to excellent rating but the weather will have to be cooperative going forward for this to continue to be the case. 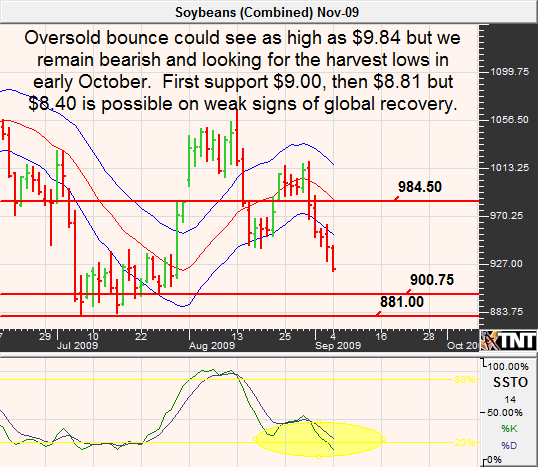 This creates a scenario in which the soy complex is vulnerable to price spikes and this combined with oversold conditions paves the way for rather large and temporary price moves. November beans have suffered dramatic losses in the previous several trading sessions and could be setting up for a temporary recovery that could extend to $9.84 and maybe even $10.20 if the short squeeze is swift enough. Conversely, we feel as though adopting a sell on rallies mentality is the best approach until well into October as the overall trend should continue to be lower. 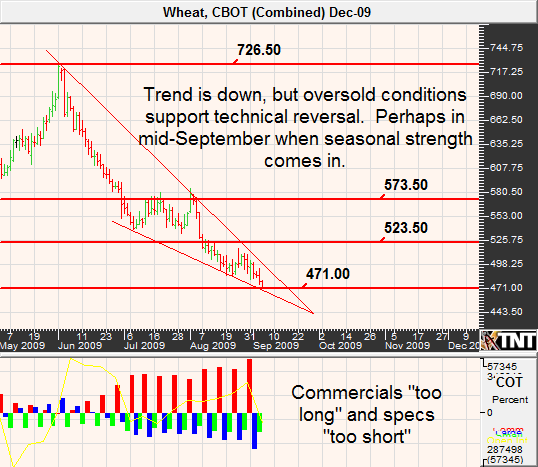 Despite all of the signs of being oversold and ripe for a short-covering rally, wheat prices have remained under pressure. Last month we noted that rumors suggested that large trend following funds have amassed an unusually large number of short positions and the lack of a price correction and current COT figures suggest that this is still the case. Remember, there is only one way for speculative shorts to get out of their positions....and that is to buy. I have found that instances in which large speculators have become long at such extreme magnitudes and hedgers long in similarly shocking levels, a major price reversal becomes more likely. This doesn't necessarily mean that the lows in December wheat have been posted but I believe that we could be getting near. The next support lies in the low $4.60's. That said, don't forget that $5 wheat is still relatively expensive on a historical basis so it is important not to get attached to the idea that wheat can't go lower. Trust me, in 2006/07 many experienced traders falsely assumed that wheat couldn't get above the $7 mark and the price paid was potentially substantial. Crude oil and the equity indices have been highly correlated in recent months but it is sometimes difficult to determine which is driving which. Nonetheless, we feel as though each market independently has a propensity to trade lower in the next several weeks aside from what may be an immediate-term spike high. In addition, if one makes a move the other could follow. 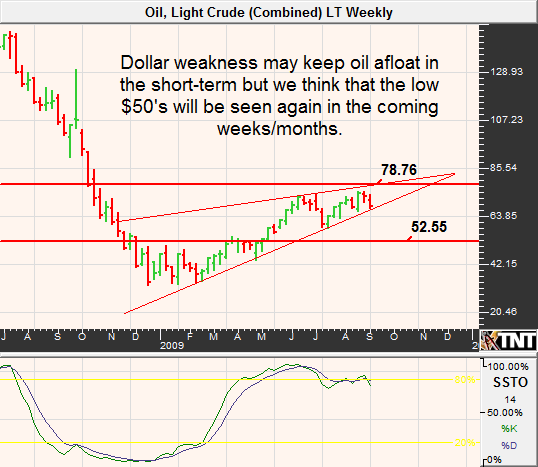 Near-term fundamentals appear to be relatively stable to bearish for crude. OPEC recently predicted a 6 million barrel per day surplus and the Department of Energy estimates the world consumption to be a little less than 84 million barrels per day, down from OPEC's estimate of nearly 89. According to historical seasonal patterns, crude oil tends to find a top during the month of September as the summer driving season ends and hurricane season becomes a non-event. Therefore, similar to last month, we cannot rule out another retest of the high end of the trading range before turning over, but we are looking for prices much closer to $50 per barrel in the coming weeks/months. 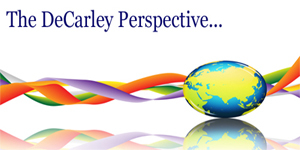 Our uncertainty of the market's ability to trade lower from current levels comes from our feeling that the U.S. dollar could make new lows before finally being able to forge a sustainable rally. Also, we aren't convinced that equities will continue lower without some type of last gasp rally. 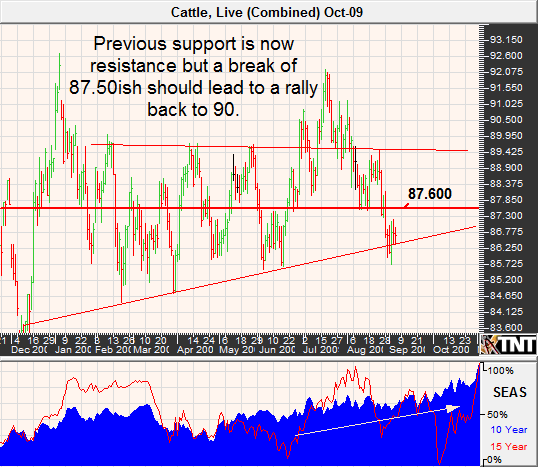 Resistance remains in the mid-to-high $70's and we wouldn't expect to see prices exceed this level. Therefore, should a retest occur we believe that it could be a good opportunity to be a bear. In the meantime, our downside target lies in the mid $52's. Like August, September tends to be a positive month for the metals. In fact, according to the Commodity Trader's Almanac, going long silver on or about September 1st and holding it until approximately September 24th was profitable 27 of the last 34 years. Some quick math implies a success rate of about 75%. However, before you get excited about this opportunity it is important to realize that we are beyond the entry date and the market has made a considerable move in the meantime. Nonetheless, these statistics are important in that they suggest that the recent metals rally may not have exhausted itself. Also, aggressive traders may look to become bears at some point in late September. Our seasonal expectations for the metals seem to conveniently coincide with our predictions of near-term weakness in the U.S. dollar but an eventual recovery. 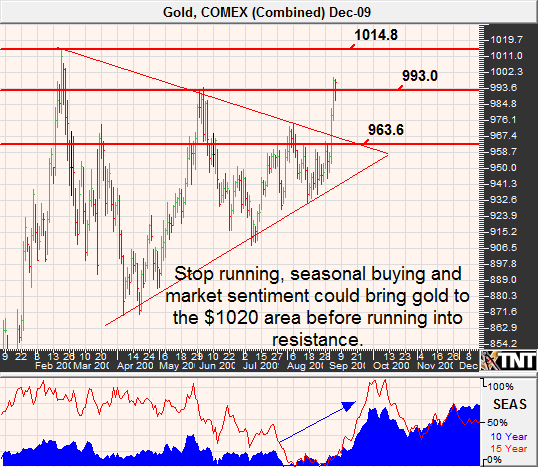 Last month we mentioned that we were looking for gold to see the $990's again. Now that we are here, we think that the rally has a bit more steam. It seems as though we could easily elect buy stops at or near the previous high, which could bring gold to the $1020 area but we doubt that circumstances will support such prices at this time. Those trading the Dollar index have likely found themselves suffering from a lack of interest. It has been months since the Dollar has experienced a significant change in valuation but we doubt that the volatility will remain low for much longer. We remain stubbornly bullish the dollar on a longer-term basis but in the near-term it seems prudent to wait for a dip to the 76 area before placing bets on the long side. Compliments of low volatility and the nature of the U.S. dollar index futures market, options tend to be relatively affordable. Those looking to buy the dollar index might benefit from the purchase of a protective put. Another factor supporting our idea of another leg lower before the dollar can fully recover is the seasonal strength typically displayed by the Euro during this time of year (don't forget that the index is comprised of nearly 60% Euro). According to our sources, the purchase of the Euro following the Labor Day holiday and holding it until about the end of the month has been profitable 8 of the last 9 years for a cumulative total of $17,475. Additionally, the second quarter GDP was recently reported better than expected and France and Germany have surprised economists with positive growth. The news takes some of the "less bad" argument away from dollar bulls. Sugar has been the one commodity that has consistently displayed supportive fundamentals. Accordingly, we had been promoting an overall bullish agenda but never would have imagined the rally that ensued in the month of August. In fact, coming into the month it seemed as though price gains had outpaced reality and heavily long speculators left the market vulnerable to a correction. We now know that a digestive price move wasn't in the cards and immediate new all-time highs were. The August rally was in complete opposition to the seasonal tendencies of sugar making predictions from here even more difficult than is normally the case. Nevertheless, we feel as though sugar prices have turned the corner. 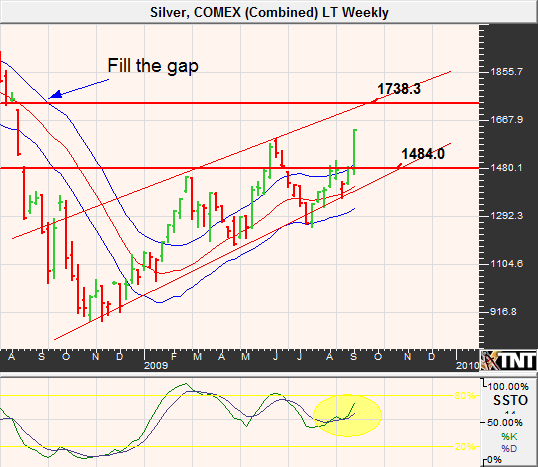 It is quite possible that the highs are in and therefore we favor the short side on rallies. A logical resistance point will be 22.50ish, and may be a place for hedged bears to look at putting on a position. Coffee prices have been volatile but range-bound for several months; therefore, it seems logical to assume that the current trading envelope will continue to hold. Assuming this is true, December coffee appears to provide a bullish opportunity under $1.20...specifically near $1.14. Along with technical strength, fundamentals should keep a floor under pricing. The International Coffee Organization (ICO) recently reported that world coffee production is expected to come in slightly above 127 million bags but consumption is expected to be 128.45 million bags. September is known for declining hog prices but we wonder if that will be possible in today's environment. Unfortunately, the lean hog market was dealt a double-punch by the global economic slump and unfounded swine flu concerns. 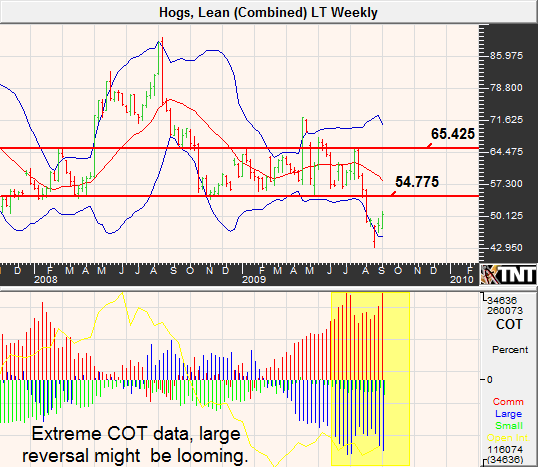 Hog prices are already historically low and based on COT data most of the bears are already short. These factors should work against the odds of further price declines. As we have previously noted, markets are often vulnerable to large price reversals when speculators have amassed large positions on one side of the fence. Demand for cattle is said to be on the rise during the fall in winter months. The premise is that people generally eat more meat in cooler temperatures. Additionally, with kids back in school, government sponsored lunch programs look to protein as a staple on the menu. Just as higher grain prices kept pressure on cattle prices, lower feed costs should provide ranchers with the option to hold on to their inventory a bit longer to prop up prices. In previous newsletters, we have mentioned that we like the long side of cattle, but only at or below 88 cents. Thus, current valuations seem like an opportune time to be a bull in hopes of a retest of the recent highs or beyond.